Andre the puppy is not a big fan of personal space. 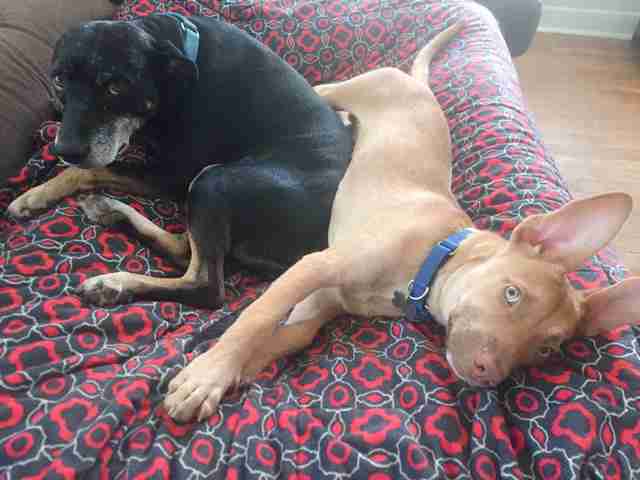 Andre prefers being mashed up close to another body — and luckily he’s found a willing party in his foster brother Roper. 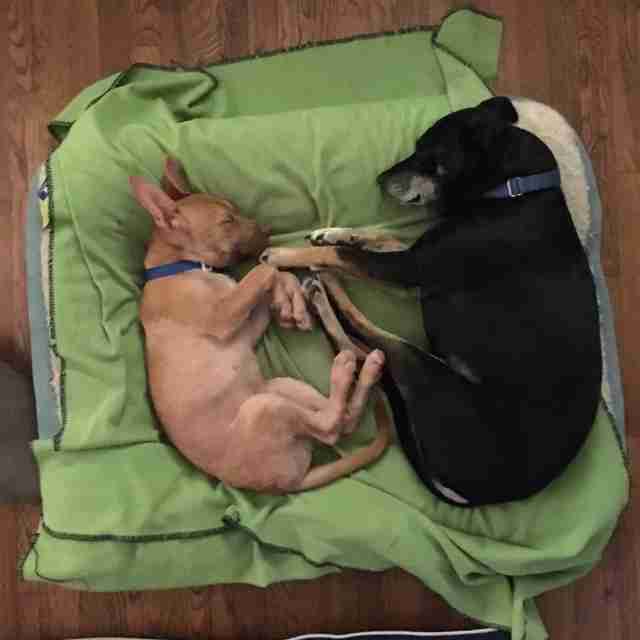 Seeing them snuggle, foster mom Bev Caplan thinks about the hard lives these dogs endured before coming to live with her. She feels like they are making up for lost time. "Andre just adores Roper. 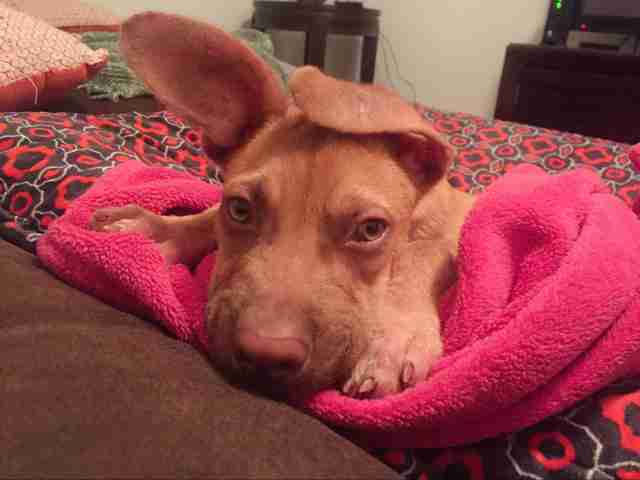 The first few weeks of his short life were so rife with uncertainty and neglect. 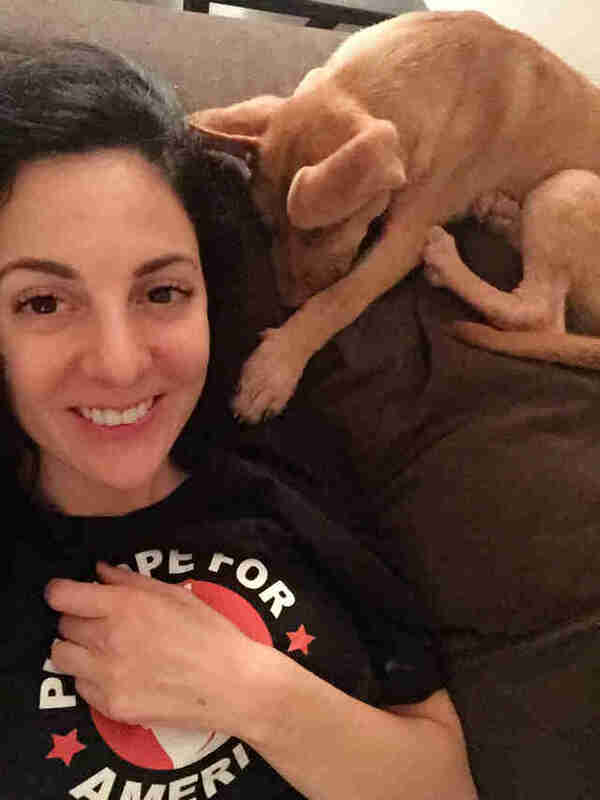 No puppy should have to be born on the street and fight to survive as he did," Caplan tells The Dodo. 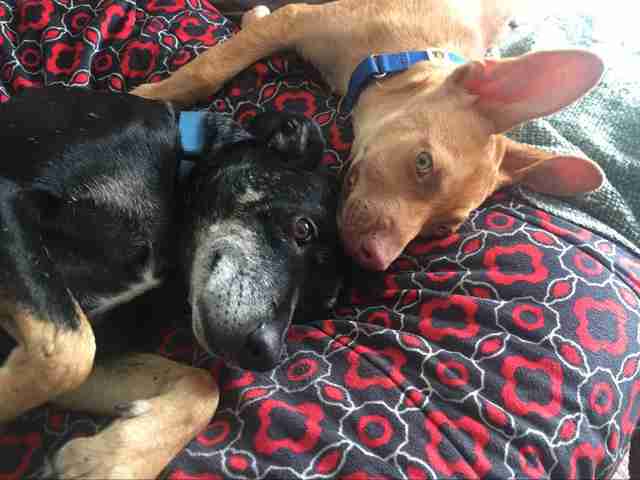 "He is a survivor but now he is enjoying just being a puppy with his pal, Roper." That affection goes both ways. "Roper is a very patient dog and likes to show baby Andre the ropes," she says. 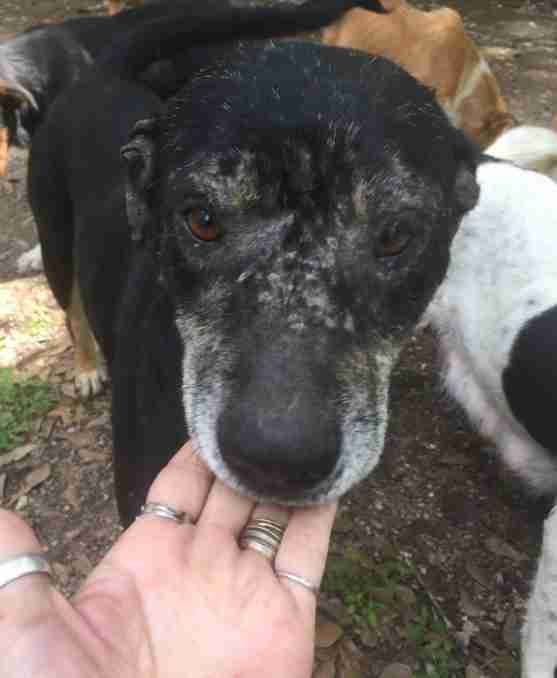 Roper came from a trailer park just outside of Houston, where he was being attacked by other dogs. He's thought to have lived outside all of his life. 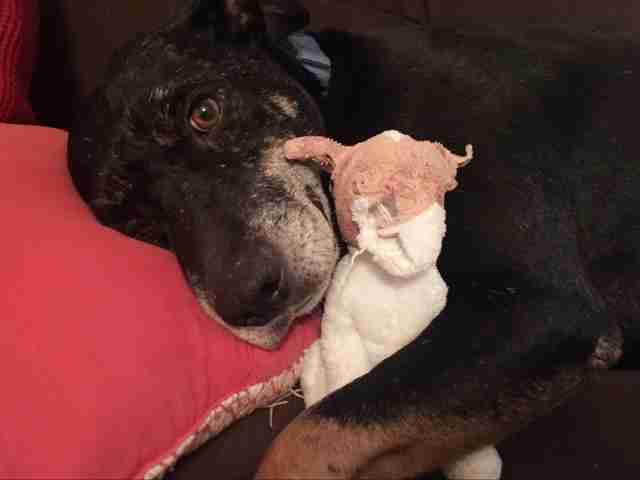 When rescuers from the nonprofit Houston K-911 came to help him and other loose dogs in the area, they found Roper to be incredibly sweet but sad. "Clearly hopeless," Katie Wing, Houston K-911 cofounder, says. "He loved to be rubbed on and soaked up any attention we would give him. But once the affection stopped, Roper would stare off aimlessly and hang his head." 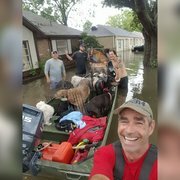 Houston K-911 took Roper into rescue in March. 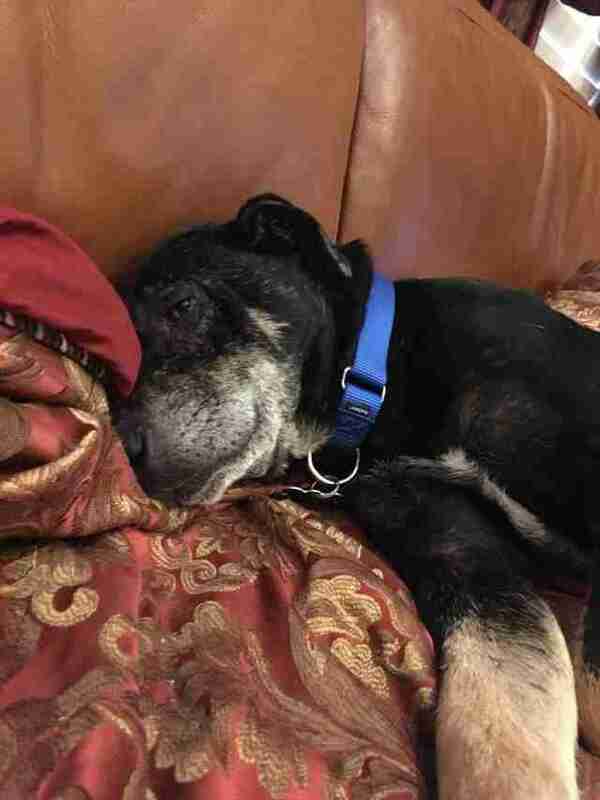 He was heartworm positive and full of parasites, and grateful to be inside — sinking into a deep sleep in what may well have been his very first time napping on a couch. Search parties couldn't find him, but then Roper just showed up again — he was found hanging out near a dog park. Houston K-911's Anna Barbosa tells The Dodo she thinks Roper was just so used to being on his own that he decided to go take himself for a walk. Then he "realized he had a good thing going," having people who care for him. "Once we had him back, he no longer had any interest in roaming, escaping or going out for his independent walks," Barbosa says. "It's clear he was ready to be someone's baby and was through with the independent life he once knew. And now he is about the best-behaved dog you can ask for, and he's been taking the younger pups and fosters under his wing to teach them the ropes." That is certainly the case with Andre, who was rescued in late August, just as Hurricane Harvey was about to fill Houston with water. Andre and his sister, Petra, had been spotted living underneath an abandoned house — both in danger due to the hurricane. Petra was also suffering from a broken jaw. Barbosa recalls that on the night of their rescue, both puppies, so skinny and wet, were shivering as they were driven away in an SUV. Barbosa was in the backseat. Andre came back to join her, "and rested his head next to me and fell asleep. It is a great joy to see him so comfortable, content and happy," she says. Heartbreakingly, Petra didn't survive; her injuries were too severe. Andre joined Caplan's household — she has three adopted dogs, on top of her fosters — and met Roper, who was there to guide the new pup, and not complain too much about Andre's enthusiasm for chewing on his ears. Sick and scared at first, Andre "quickly warmed to his new life of soft beds, good nutrition and loving attention," Caplan says. "He's a loving, mischievous, inquisitive little guy. That's part of what makes dogs so great — they are adaptable!" Now healthy and adjusted to being pets, Roper and Andre are up for adoption. 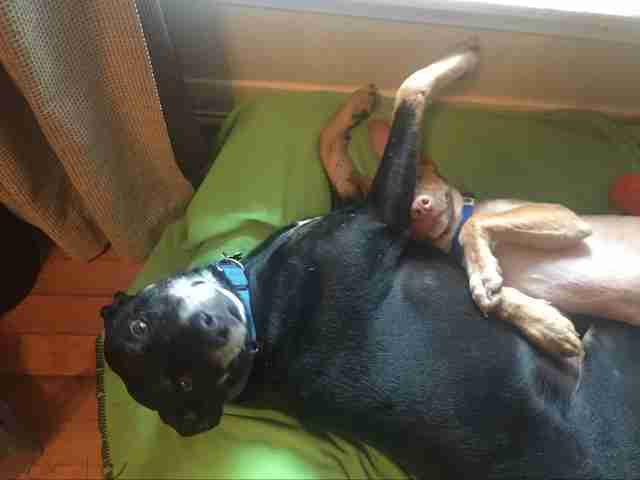 These dogs don’t need to be adopted together. They do need families who will spoil them rotten like they deserve. "They are wonderful, warm, loving, loyal companions who found themselves in horrible situations through no fault of their own. They don't stand a chance out there, so we give them a chance," Caplan says. "Both Roper and Andre come from the dangerous street life so what they love most is the affection they previously missed out on — cuddles, kisses and kind words." Find out more adopting Roper and Andre from Houston K-911. Here's where you can donate to help save more dogs.